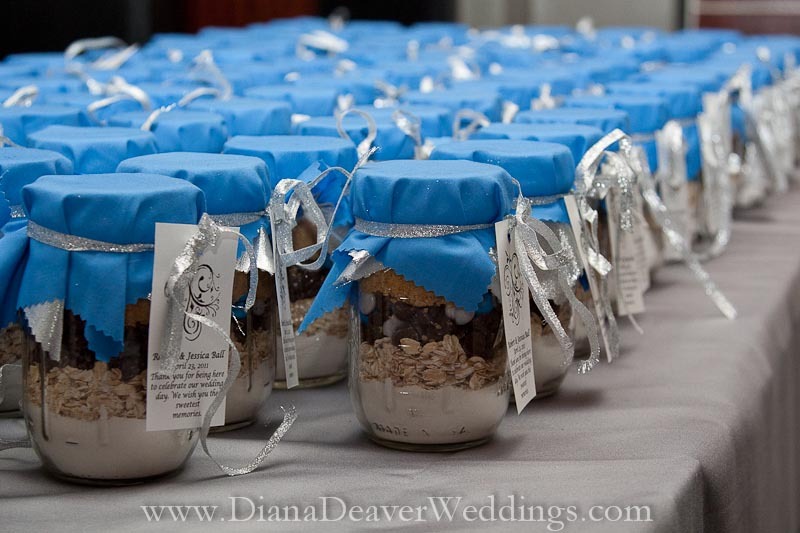 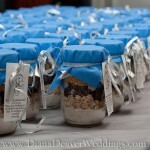 I was touched by this personal wedding favor when I discovered that the jars came with the bride’s grandmother’s chocolate oatmeal cookies recipe, ingredients included. 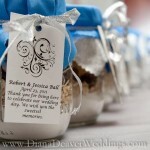 This seemed like such a wonderful way to honor an elder family member and to celebrate childhood memories. 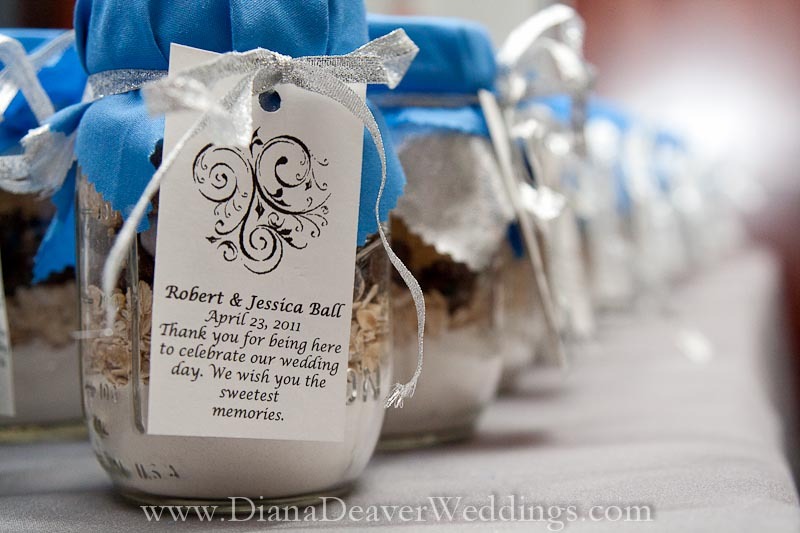 Personal touches at a wedding always touch my heart.